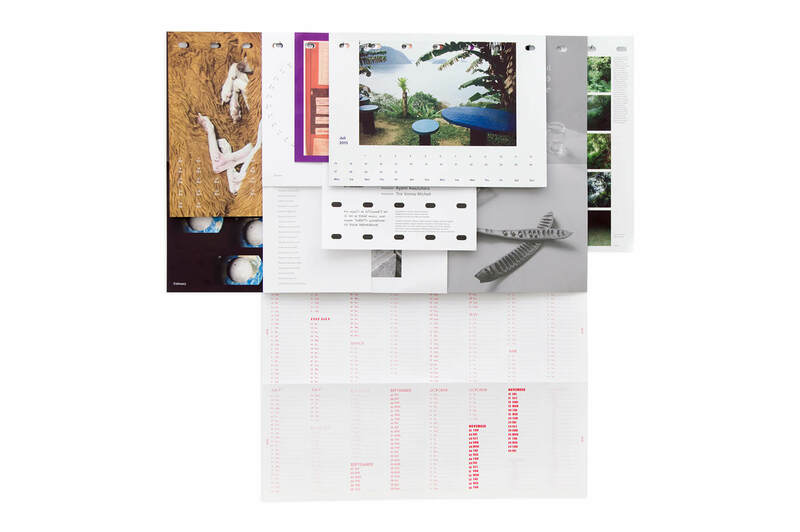 Wall calendars are an ongoing project of Studio Manuel Raeder. 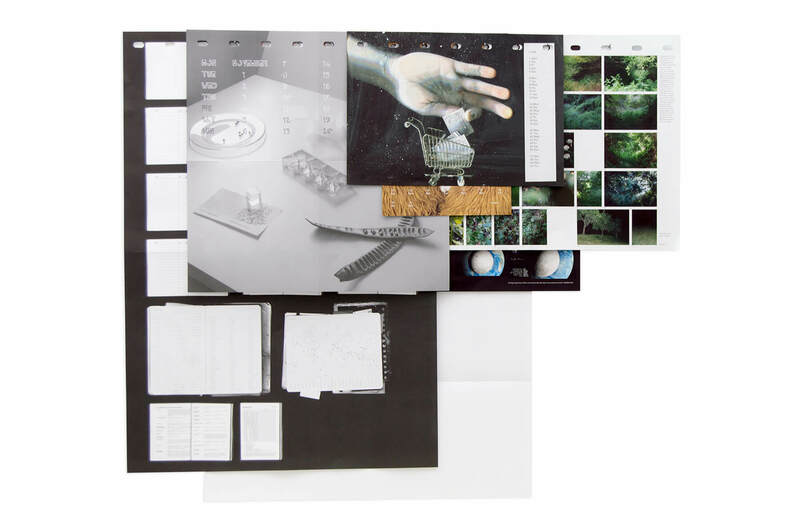 Formats, sizes, and distribution vary each year, just the hanging system remains the same: to set up simply fix nails in distances of 12 cm in your wall and hang sheets according to your preference. 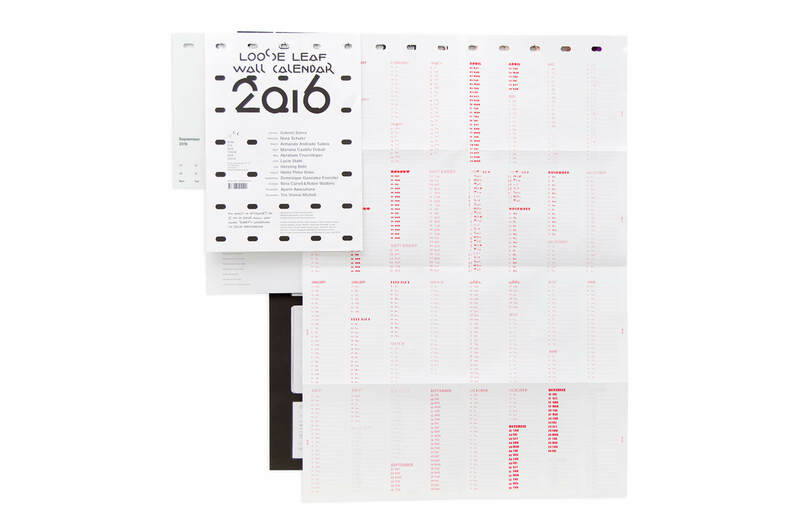 This allows you to constantly re-arrange your months, giving endless combinations for your interior. 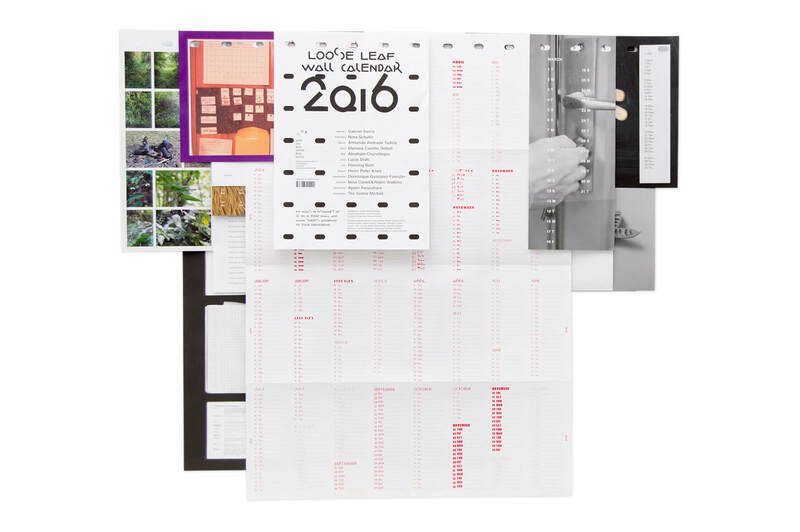 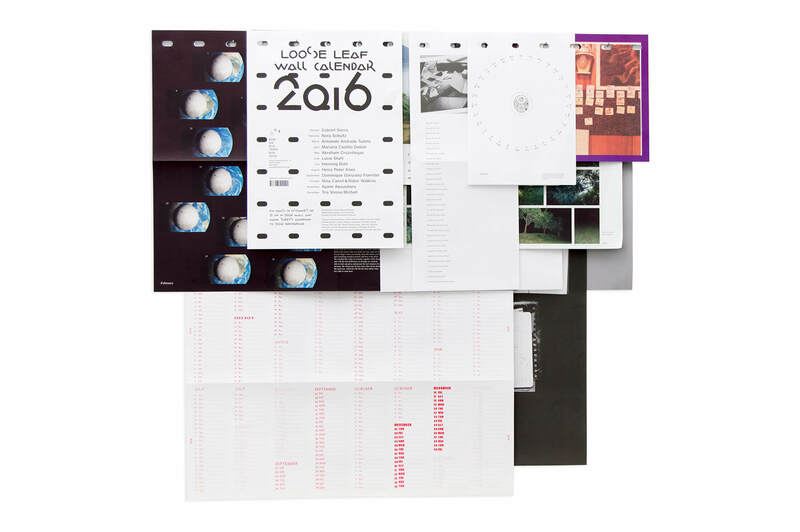 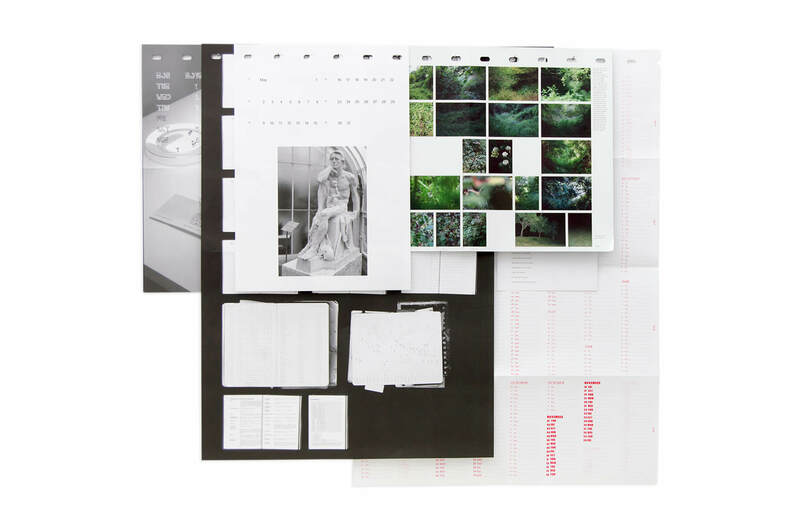 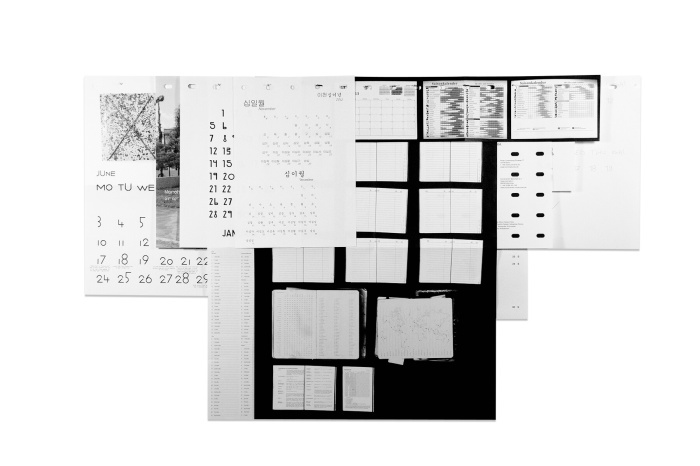 Loose Leaf Wall Calendar 2016 contains contributions by Gabriel Sierra (January), Nora Schultz (February), Armando Andrade Tudela (March), Mariana Castillo Deball (April), Abraham Cruzvillegas (May), Lucie Stahl (June), Henning Bohl (July), Heinz Peter Knes (August), Dominique Gonzalez-Foerster (September), Nina Canell & Robin Watkins (October), Ayami Awazuhara (November) and Tris Vonna-Michell (December).